who were elected at the First National Congress passed a resolution to take military action against the EPLF similar to the decision passed by the ELF Supreme Council against the Haraka in 1965. The ELF passed a series of resolutions on Februrary 29, 1972 aimed at liquidating its rivals. (Sherman 1980: 81) which was caused a civil war 1972-1974. During the civil war(1972-1974) more than a thousand lives lost because of power rivalry between the ELF and EPLF leaders. According to the Human Rights Watch (1991). The two years of internecine strife between the two movements, which caused an estimated 3,000 casualties among the fighters - more deaths among the combatants than the entire thirteen years of government military actions to date. Purges within the two fronts also saw a number of people murdered. A battle between the two fronts at Wolki in October 1974 left 600 fighters dead, and caused a spontaneous demonstration by the citizens of Asmara, who marched to the battlefield and demanded that the fronts settle their differences by negotiation ( Human Rights Watch 1991, 42). Markakis ( 1987: 138)also states that in October 1974, a newly arrived ELF-PLF unit stationed in the village of Zager, 18 km from Asmara, clashed with an ELF unit from the nearby village of Woki. A murderous battle ensued lasting several days, with heavy casualties on both side. 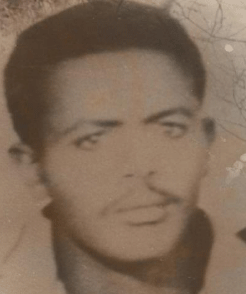 Mahmoud Ibrahim Muhammad Saeed (Chekini):According to the ELF " he was killed (martyred) during the first Eritrean civil war. However, according to a reliable source Mahmoud ibrahim -chekini was murdered in the Sahel. After the ceasefire agreement between the ELF and EPLF in 1974, there was an on-off confrontation fighting between the ELF and EPLF which caused the death of some fighters on both sides. This confrontation stopped for some time after the 20th of October unity agreement between the ELF and EPLF leaders in 1977. The agreement which reached between the two fronts’ leaders was not a genuine unity agreement but was a tactical agreement similar to what happened among the opposition leaders from 1999 to present. As a result of this tacticl unity agreement a long power rivalry between the EPLF leader ( Issayas ) and the ELF leader ( Abdella Idris) the EPLF leaders took military action against the ELF in 1981. The military action which was taken by the EPLF led to civil war that caused the deaths of many fighters on both sides. This was the ELF Supreme Council’s legacy of military action against Haraka in 1965. Mengesteab (2005:55) adds that Isaias and his group restored to the old ELF argument that Eritrea could not support more than one liberation front. 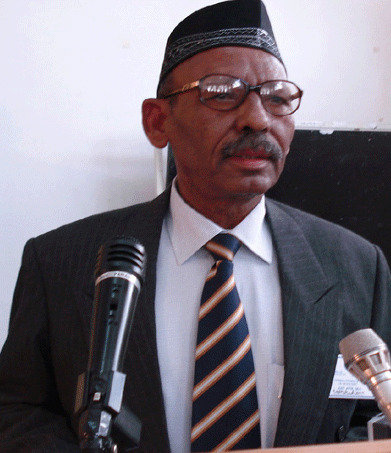 Until 1977, the EPLF argued that secondary contradictions could not and should not be resolved by armed means, suggesting that political dialogue. This was when the EPLF was militarily weak relative to its rival. In 1981 Abdella Idris was defeated by his long rival Issayas and lost power inside Eritrea. In 1982 Abdella Idris took military action against his opponents, the leaders of the ELF-RC, and Melake Tekele was killed by Abdella Idris. Melake Tekele was not innocent of crime as he was the head of the ELF security department which was responsible for the kidnapping, disappearance and killing of innocent civilians and fighters from 1975-1980. The spilt of EDA in 2007 was also happened because of the rival leaders of the ELF.RC and ELF. At the EDA Conference which was held in Addis Abeba, 2008 Hussen Kelifay also said that his organization was not ready to accept the candidature of ELF-RC for the Executive Office. The opposition leaders' unwillingness to consolidate the Eritrean people's struggle against this autocratic government has a history going back to the 1970s when they set back the victory of the liberation struggle in 1978 just 30 years ago. Regarding this Wolde Giorgis(1989: 93) wrote that the ELF and EPLF had the power to take Asmara, but at the last minute their mutual hatred proved stronger than their hatred of the Ethiopian army. He adds that, they lost their opportunity because they could not come to an agreement. If there were genuine leadership inside the opposition groups in 2001, this autocratic regime would not have remained in power until now. However, the opposition groups leaders have contributed greatly to prolong this dictatorship. To conclude it is not the intention of this paper to detail the problems of the opposition leaders, but this is just to highlight that the mistakes of the former revolutionary leaders and their collaborators are being repeated by the people who lead the opposition groups.